Go to Forms => Global Settings => GoogleSpreadsheet. You will need Plugin License key, Client ID and Client Secret Key to get started. -Plugin License Key: You will get Plugin License Key in email after you purchase Formidable Google Spreadsheet Addon. Go to Forms and edit one of your Forms. On the tab click on Settings => Form Actions. 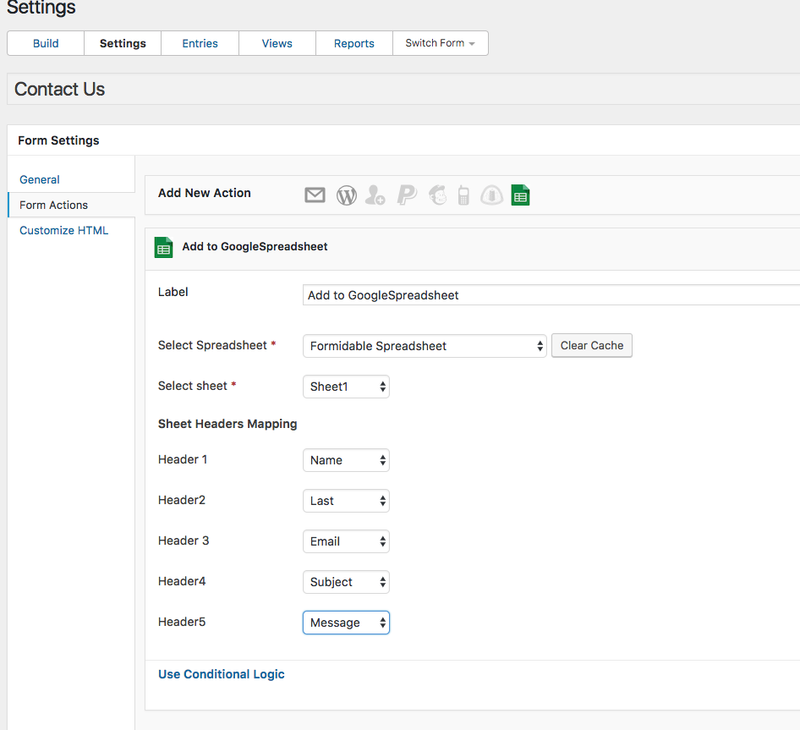 Add the Spreadsheet Action & select spreadsheet & sheet to map sheet headers with a form fields. That’s it .. Now when you submit the form it will add new contact in Google Spreadsheet.